The stork never stops visiting couples across the globe, but in Hollywood, it feels like the stork is especially busy. Every month, we get tons of happy confirmations from celebrities that they are about to become parents of all kinds. First-time parents, parents who are adding to their growing brood, parents who are bringing together children from previous marriages and adding to their blended family, parents who are adopting, parents who chose surrogacy and even more types and combinations. We may be nearing the end of 2018 but the celeb pregnancy announcements are still coming in by the metric ton. Frequently done via Instagram and with plenty of excitement, these celebrities are sharing their pregnancies with the world, letting us share in their excitement, too. From the Thanksgiving Day confirmation that Nicole “Snooki” Polizzi is expecting her third child to the adorable announcement that Meghan, Duchess of Sussex, is pregnant with her first child with husband Prince Harry, these celebs will soon be visited by that stork in 2019. Let’s see who else is currently expecting in 2018. On Thanksgiving Day 2018, Nicole “Snooki” Polizzi posted a very sweet and understated confirmation that she was expecting her third child with husband Jionni LaValle. On October 20, actor Teresa Palmer revealed the she and actor hubby Mark Webber were expecting their third child together. As reported via Us Weekly, Palmer posted a heartwarming Instagram as her announcement. Next to a photo showing her holding her growing belly in front of a sunset, Palmer wrote, "Thank you for all the beautiful messages. [Mark and I] are overjoyed but mostly very grateful." While she didn't state how far along she was in her pregnancy, it's likely Palmer and Webber will welcome their third child in 2019. Image: Victoria Jones - WPA Pool/Getty Images. 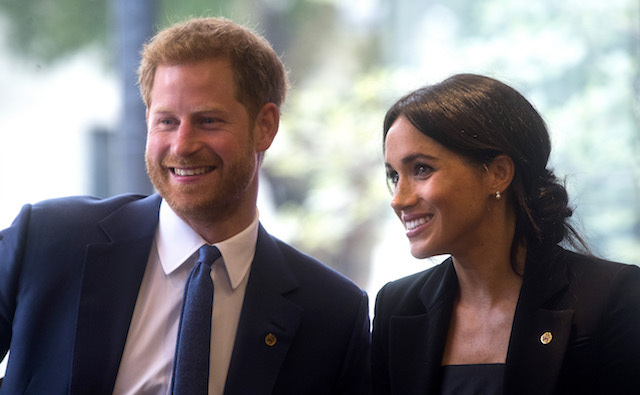 Following a romantic May wedding and a whirlwind couple of months full of family events and public engagements, CNN reported by way of Kensington Palace on Oct. 15 that Prince Harry, Duke of Sussex, and Meghan, Duchess of Sussex, were expecting their first child together. 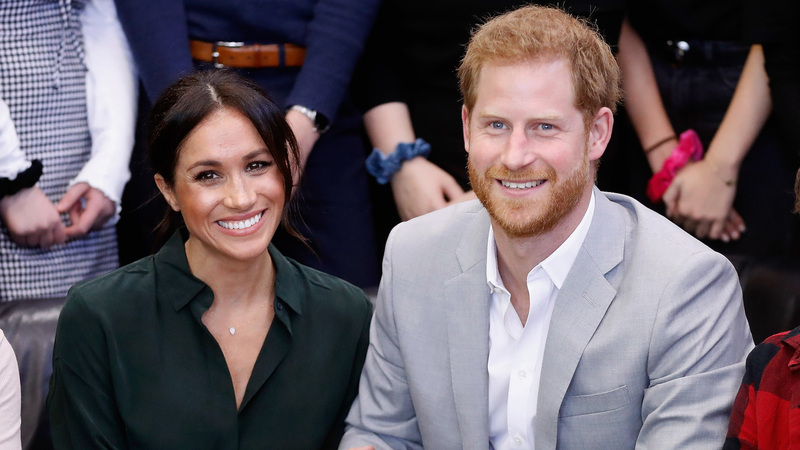 Kensington Palace's statement also included a note that the child is expected in spring 2019. Image: Terry Scott/Barcroft Media via Getty Images. In October, actor Jamie Dornan confirmed to U.K. outlet The Sunday Times that he and his wife, actor Amelia Warner, were expecting their third child in 2019. Dornan and Warner have two daughters together. Image: Greg Doherty/Patrick McMullan via Getty Images. In September, Cumberbatch and Hunter appeared on the Emmys red carpet with Hunter's roomy yellow gown sparking rumors she was pregnant with her third child. Those rumors seemed to be confirmed by Metro U.K. shortly after the award show. 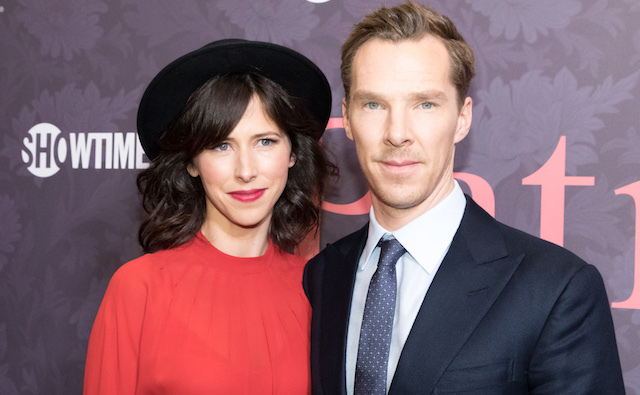 Cumberbatch and Hunter will welcome the child in 2019. Image: Paras Griffin/Getty Images for Sony Pictures Entertainment. 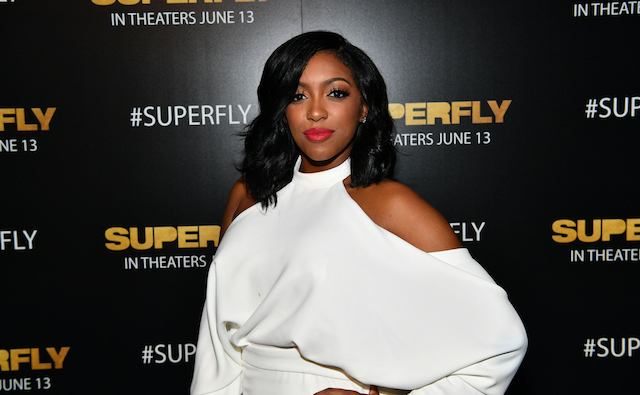 In September, reality star Porsha Williams confirmed to People magazine that she is pregnant with her first child. Williams is expecting with her boyfriend, NFL player Dennis McKinley, and will give birth sometime in 2019. Former Wizards of Waverly Place star David Henrie and his wife, Maria Cahill, announced in September that they were expecting their first child together, a baby girl. Henrie confirmed the good news on his (now-deleted) Instagram story, writing, "After getting married my life started to take on a meaning and importance that's indescribable. I'd never felt before and made me such a better person," adding, "I cannot wait to see what being a poppa brings I cannot wait!" Image: Stephen Lovekin/WireImage for Entertainment Weekly Magazine. 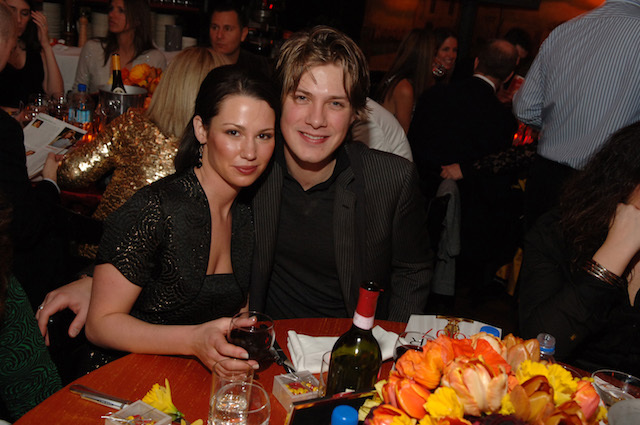 You may do a double take when you read that Taylor Hanson, one-third of iconic '90s band Hanson, is expecting his sixth child with wife Natalie. The couple, who got married in June 2002, confirmed Natalie's pregnancy with an adorable family photo. Former Disney star Christy Carlson Romano confirmed in late August that she is pregnant with her second child with husband Brendan Rooney. According to E! News, Romano and Rooney welcomed their first child, daughter Isabella, in 2016. 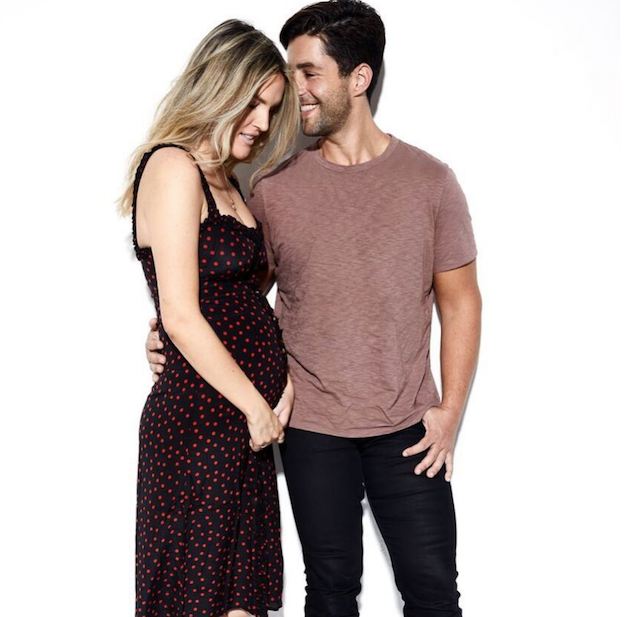 Former Nickelodeon star Josh Peck announced on his Instagram on Thursday that he and his wife, Paige O'Brien, were expecting their first child together. Posting a photo of the couple leaning in close with O'Brien holding her growing baby bump, Peck captioned the photo in a funny way, writing, "Oh baby. Literally, there’s a baby in there. Love u @paigeobrienn." In August, both Robin Thicke and his girlfriend of nearly four years, April Love Geary, announced on their respective Instagram accounts that they were expecting their second child together, just six months after their first child, daughter Mia, was born. On her Instagram page, Geary posted a video as well as photos of Mia holding the ultrasound photo while playfully asking Mia if she was excited to become a big sister. Geary captioned the photo with her announcement, writing, "Well someone is going to be a big sister next year! We’re so excited to share with y’all that I’m expecting again! We find out Saturday if it’s a boy or a girl! What do you guys think it’s going to be? Forgot to mention the due date is Robin's birthday!" In late August, Victoria's Secret model Lily Aldridge confirmed on her Instagram that she was expecting her second child (in addition to 6-year-old daughter Dixie Pearl) with Kings of Leon frontman Caleb Followill. Aldridge posted a very happy selfie that showed her tiny bump, writing "SURPRISE" with a ton of happy face emojis. 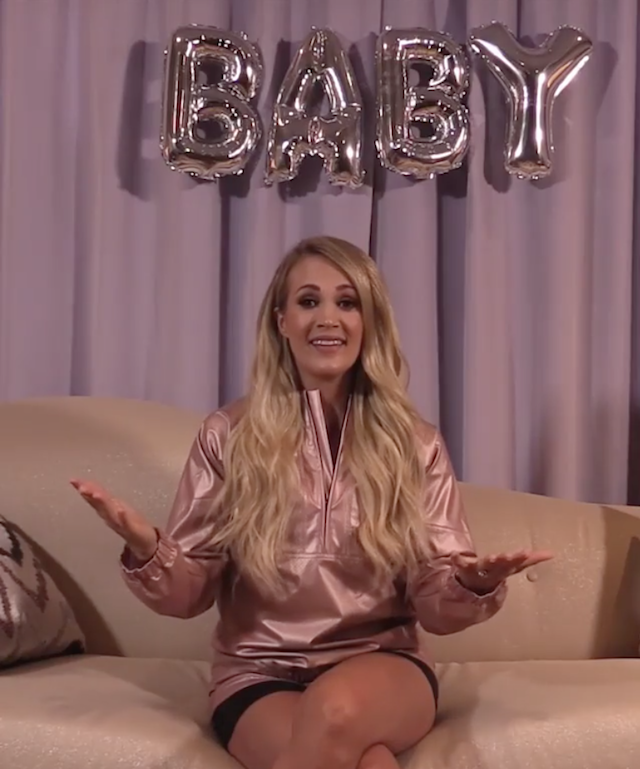 Carrie Underwood had lots of exciting news for her fans on the morning of August 8. In addition to announcing a new tour that would be kicking off in May 2019, Underwood revealed that she and husband Mike Fisher were expecting their second child, who will likely arrive in March or April 2019. Singer Rachel Platten announced on July 25 on her Instagram that she was expecting her first child with husband Kevin Lazan, writing, "This is one of my most exciting announcements, but also one of my most vulnerable. So here goes… I am pregnant!! I can’t believe I’m finally typing these words – I have wanted to share this news for months." 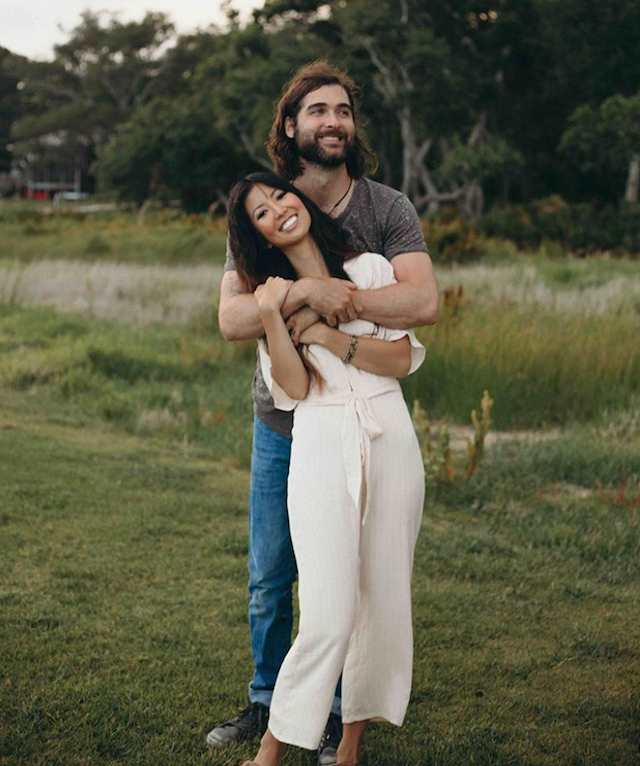 Duck Dynasty star Rebecca Lo Robertson and her husband, John Reed Loflin, announced in July via Us Weekly that they were expecting their first child together. Robertson is due in January. 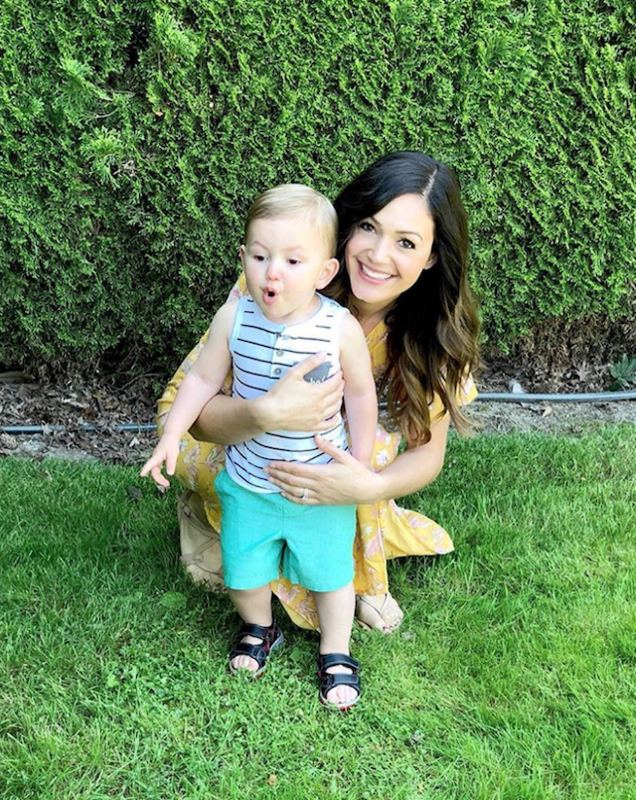 Bachelorette alum Desiree Hartsock announced in July that she is expecting a second child with husband Chris Siegfried. Image: Jacopo Raule/GC Images/Getty Images. TV personality and Italian aristocrat Beatrice Borromeo and her husband, Pierre Casiraghi, Grace Kelly's grandson, confirmed they are expecting their first child together when Borromeo showed off her bump at a charity event in March. 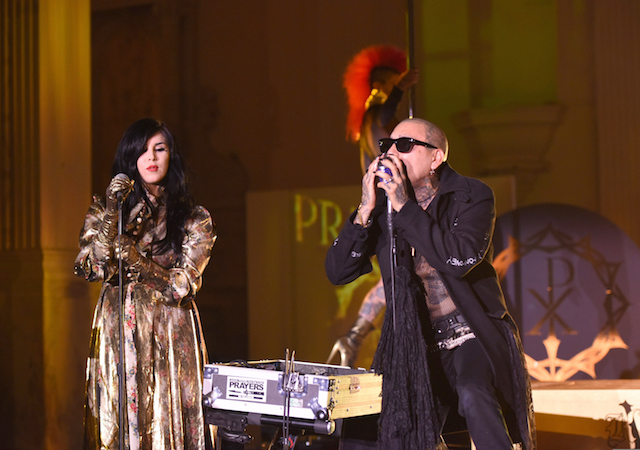 Image: Vivien Killilea/Getty Images for Kat von D Beauty. Makeup mogul Kat Von D and husband Leafar Seyer announced in May that they are expecting their first child, a boy, later in 2018. Lost alum Emilie de Ravin confirmed on her Instagram with a surprised face and a positive pregnancy test that she's expecting her second child in 2018. Image: Pascal Le Segretain/SC Pool - Corbis/Corbis via Getty Images. 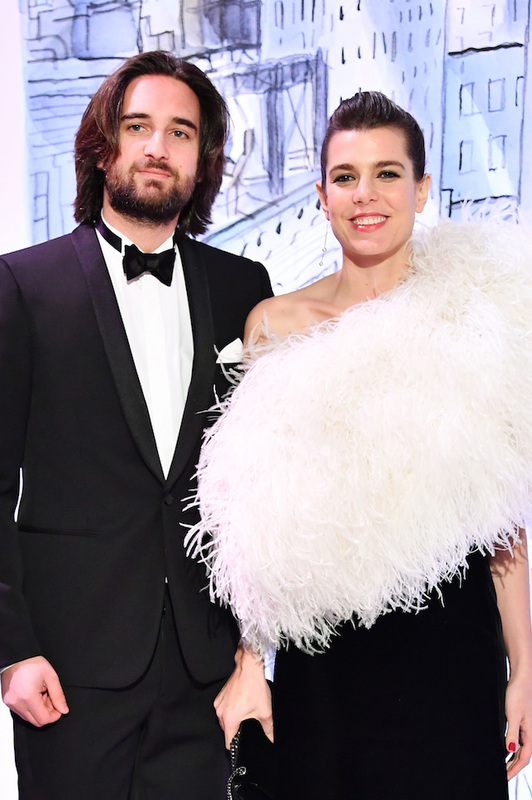 Grace Kelly's granddaughter, Charlotte Casiraghi, confirmed in July she is pregnant with her second child, but it will be her first with fiancé Dimitri Rassam. Image: Stefanie Keenan/Getty Images for CDG. Bravo's Imposters star Parker Young was able to announce in March not only that he was engaged to his girlfriend, Stephanie Weber, but also that they are expecting their first child together, a girl, later this year. In March, CNN's Erin Burnett announced she is expecting her third child with her husband of six years, David Rubulotta. Shahs of Sunset alum Lilly Ghalichi announced in March that she is expecting her first child with her husband, Dara Mir. Former Real Housewives of Atlanta star Kenya Moore confirmed in April that she and her husband, restauranteur Marc Daly, are expecting their first child together. 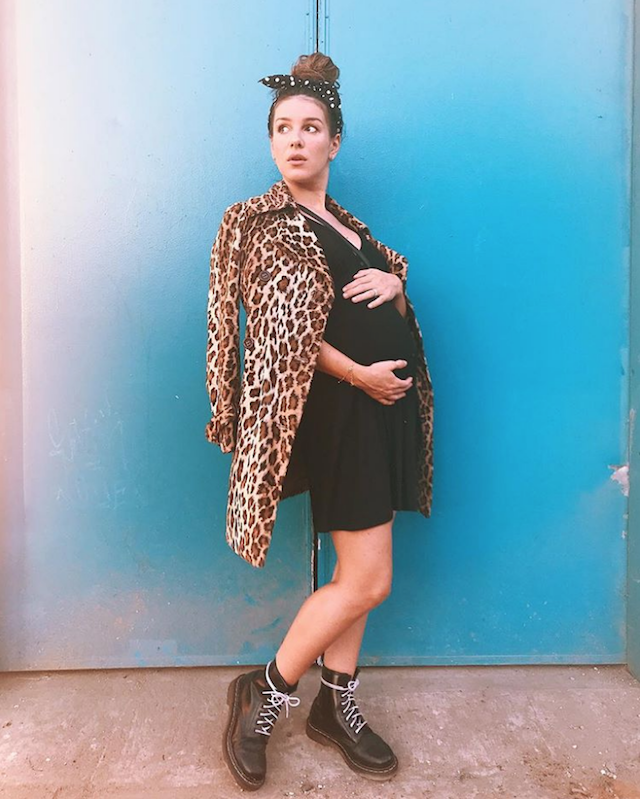 90210 reboot alum Shenae Grimes-Beech announced her pregnancy in a post titled "Holy Sh—t, I'm Going to Be a Mama!" on her website Lost in Lala. This will be her first child with husband Josh Beech. Jana Kramer happily announced via her Instagram on June 25 that after six miscarriages, she is pregnant with her second child. Jersey Shore star Deena Cortese confirmed in July that she is expecting her first child, a baby boy, in December.